Turkish Airlines is the official airline of the EAAOP-6 Conference and special discounts are offered on certain booking classes. In order to proceed with the online booking tool for Turkish Conventions please visit the Turkish Conventions website and use the event code 125TKM19 under the delegate section. Participants of the EAAOP-6 Conference who are interested in using special shuttle cars for the transportation from airports in Ljubljana (Slovenia), or Trieste and Venice (Italy), as well as from the Trieste bus/railway station to the Conference site, are kindly asked to provide required information about their itinerary on the downloaded Transfer Form (available on the right (at the bottom for mobile phone users) and in the downloads section) and return it no later than 19 June 2019 by e-mail (suntours@siol.net) to the Sun-tours tourist agency, transfer provider appointed by the Conference organizers. There are three suitable international airports available for travelling to Portoroz: Ljubljana airport Brnik (LJU), Trieste airport Dei legionari (TRS) and Venice airport Marco Polo (VCE). The latter two airports lie in Italy, so some participants should be cautious about visas. Arrival via Ljubljana Airport (www.fraport-slovenija.si/en/). The Ljubljana airport Brnik (LJU) lies 23 km NW from Ljubljana and has regular lines with all main airports in Europe. The airline of Slovenia is Adria Airways (www.adria.si/en/). The interested participants of the EAAOP-6 Conference will be able to use special shuttle cars for the transportation from the Ljubljana airport to Portoroz (139 km; transfer time: about 100 minutes). If not using the special shuttle car, you should take a taxi to Ljubljana for a price of about 60 € per car. There is also regular bus connection from the Brnik airport to the Ljubljana bus/railway station (fare of about 4.10 € per passenger; see the timetable at the airport web site). You can also travel from the Brnik airport to the Ljubljana bus/railway station by using door-to-door shuttle service (fare of about 10 € per passenger; see the airport web site for providers). From Ljubljana you can take a bus directly to Portoroz or a train (bus station (www.ap-ljubljana.si) and railway station (www.slo-zeleznice.si) in Ljubljana are located next to each other) to Koper – Capodistria and then a taxi or a local bus from Koper to Portoroz (13 km). Arrival via Trieste Airport (https://triesteairport.it/en/). The Trieste airport Dei legionari (TRS) is another possibility for travelling to Portoroz. It is even closer to the Conference site (75 km) than the Ljubljana airport. You can get more information about the flight schedules and connections to Trieste on the Dei legionari web site. The interested participants of the EAAOP-6 Conference will be able to use special shuttle cars for the transportation from the Trieste airport to Portoroz (transfer time: about 50 minutes). Alternatively, you can take a bus for a transfer from the Trieste airport to Trieste bus/railway station: see the timetable at http://www.aptgorizia.it/. One-way trip takes 50-60 minutes and it costs 4.05 €. 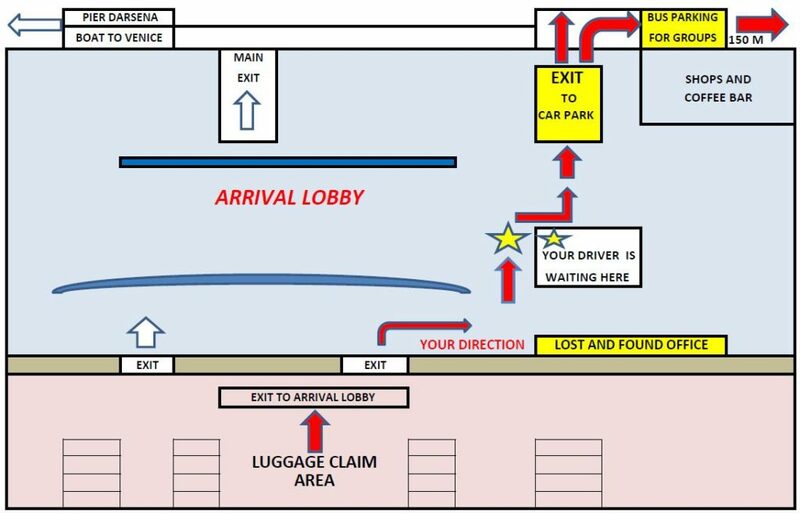 Tickets are sold at the airport and at the coach station. There are regular connections from Trieste bus/railway station to either Portoroz (one-way trip costs 5.50 €) or Piran – Pirano (one-way trip costs 5.90 €), every day except on Saturdays and Sundays; supplement for luggage costs 1.30 €. Tickets are sold at the bus station. If you come on Saturday on Sunday, you should take a taxi to Portoroz (or wait for our shuttle car, if booked in advance). Beside Portoroz we have mentioned also the town named Piran. 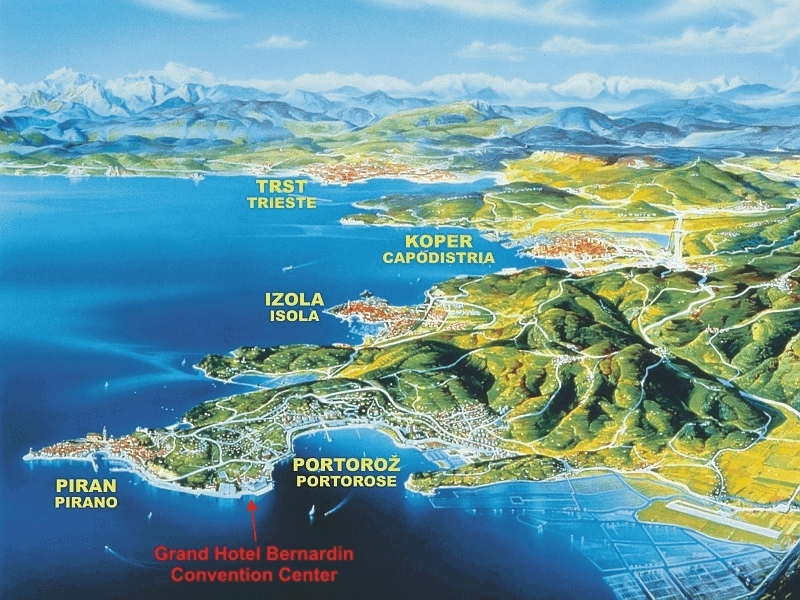 Portoroz and Piran are two small towns within a 20 min. walking distance from the Grand Hotel Bernardin Convention Center. There are local buses available every 15 minutes. Arrival via Venice Airport (www.veniceairport.it/en/). The Venice airport Marco Polo (VCE) is another possibility for travelling to the Conference site (distance from Portoroz: 210 km). You can get more information about the flight schedules and connections to Venice on the Marco Polo web site. Alternatively, you can take a train at the Venice Mestre railway station (www.trenitalia.com) directed to Trieste and then continue from the Trieste bus/railway station to Portoroz by either bus (see the above provided information) or special conference shuttle car. Portoroz can be reached by three highways: Munich-Trieste-Koper (510 km), Vienna-Ljubljana-Koper (505 km) or Venice-Trieste-Koper (200 km). When travelling through Slovenia, you must follow the direction Ljubljana – Koper – Portoroz; when travelling through Italy, the direction is Trieste – Koper (Capodistria) – Portoroz (Portorose). Speed limitations: 130 km/h highways, 100 km/h motorways, 90 km/h other roads, 50 km/h in towns. The use of dimmed lights is compulsory at the teritory of Slovenia. Fuel prices: up to 1.35 €/L (as of July 2018). Highways: a valid vignette is needed that allows the journey through the entire Slovenia. Traffic jams can be expected on the weekends during the tourist high season. Some important phone numbers: 112 fire brigade, ambulance; 113 police; 1987 help on the roads provided by AMZS (www.amzs.si). There are two suitable railway stations available for travelling to Portoroz: Koper and Trieste (Italy). For travelling from Koper to Portoroz or from Trieste to Portoroz, you can use the same guidelines described before in the section By Airplane. Would you like to know a little more about the country you are going to travel to? Take yourself a little time and try to investigate the following web site about Slovenia: www.slovenia.info. Language. The official language in Slovenia is the Slovene language. Beside the mother tongue, most Slovenians speak also at least one foreign language, most frequently English, German and Italian. Electricity. Electricity is supplied as alternating current (220 volts, 50 Hz). Climate. The Conference will take place in the Mediterranean region of Slovenia. At the end of June the temperatures are expected to range from 18 degree Celsius (64 degree Fahrenheit) at night up to 30 degree Celsius (86 degree Fahrenheit) during the day. The temperature of the sea should be around 25 degree Celsius (77 degree Fahrenheit), warm enough for swimming. Currency. The currency in Slovenia is €uro (EUR). There are many exchange offices and banks available for changing money, so rates should not get worse even for less frequent currencies. Credit Cards. MasterCard/Eurocard, Visa, Diners and American Express are the most frequently used credit cards in Slovenia. They are accepted in hotels, restaurants and stores, but they are not accepted in taxis. Car Rental. 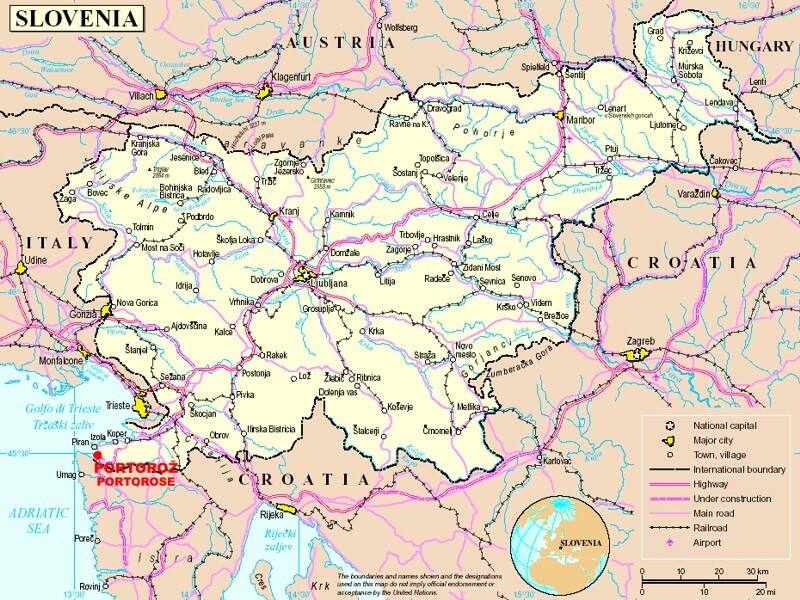 You can find the offices of all major rental companies in Slovenia. Here are phone numbers of some companies located at the Ljubljana airport: Avis (+386 4 2365005), Budget (+386 4 2014300), Dollar & Thrifty Car Rental (+386 4 2365750), Europcar (+386 59070500), Hertz (+386 4 2016999), Avant Car – Car Rental Slovenia (+386 1 5890 868), Sixt (+386 4 2382414). Useful links for international “Rent-it-Here, Leave-it-There” one-way car rental: www.avis.si; www.europcar.com; www.hertz.com; www.subrosa.hr. 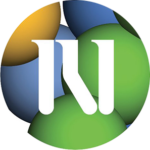 Other links of car rental companies: www.budget.si; www.nationalcar-slovenia.com. Public Transport. For general transport, taxis are numerous and readily available. All taxis are equipped with a taximeter. Pay in €uro only the fare shown on the meter. There is a supplementary charge for luggage carried in the boot of the car. Public bus services are frequent. Bus tickets/tokens may be bought at most newspaper kiosks and tobacconists. Insurance. Responsibility for personal accidents and damage to private property of participants is not accepted by the EAAOP-6 Organizing Committee. Participants should therefore make their own arrangements with respect to personal insurance if they wish. Participants from countries having a Health Insurance Convention with Slovenia must bear a valid Certificate of Insurance; others must pay the cost of medical treatment.